“I really thought what I would do if I ever learned to draw properly was I would try to change the world.” This is how Ralph Steadman, in conversation with Johnny Depp begins For No Good Reason, which serves to highlight his parallel concerns: that his work has failed to precipitate change and that he is considered foremost a cartoonist rather than an artist. The film manages to prove the contrary is true on both counts. Steadman rose to fame due to his fractious, yet compelling relationship with the iconoclastic, gonzo journalist Hunter S. Thompson. The stories from the more productive years of their relationship are equally outrageous, funny and tragic. 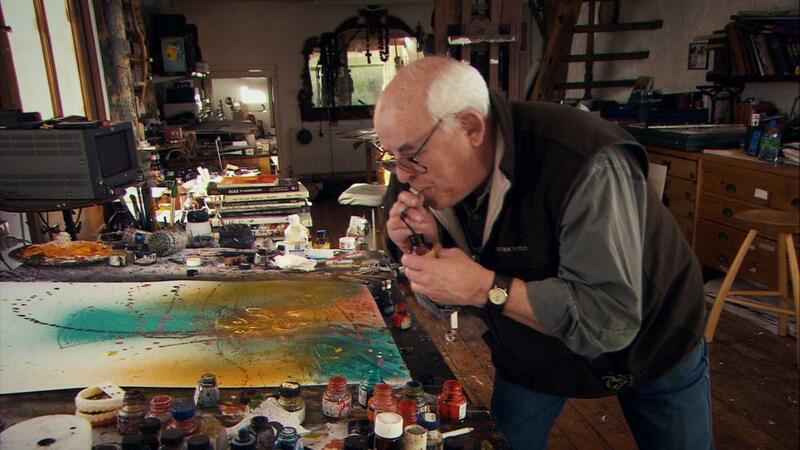 Unlike many documentaries, which have focused on artistic powerhouses, For No Good Reason uses the sheer volume of Steadman’s work to provide catharsis rather than single images. We see a massive amount of great work from our subject, including via animated sections, we are also given a rare insight into his process – specifically when Steadman paints a picture from scratch in front of the camera resulting in the “event” he aims to find in every piece. Steadman nearing the film’s end confronts the devastating passing of his old friend and occasional foe Thompson and seems to be beginning to come to terms that at eighty years old his time too is coming to an end. He might not believe it himself but Steadman’s acerbic pen is still pertinent today and his legacy has long since been confirmed. 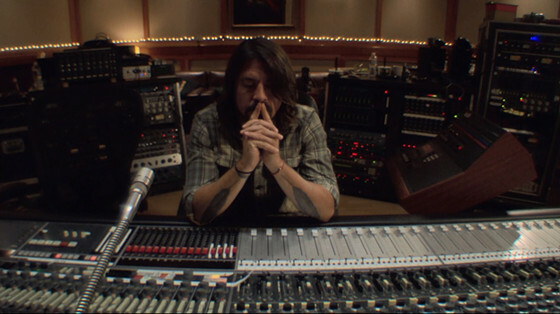 Dave Grohl’s directorial debut looks at much more than the history of the studio, which gives the film its title. Rather he questions whether in the age of technology can human elements in music be retained. During the first third of the film we are introduced to the studio space described as “kinda dumpy” where “everything was second hand” through decaying archival footage. An ex-industrial space used to test amplifiers; Sound City became popularly known for its Neve 8028 mixing console and despite its grimy façade acts such as Fleetwood Mac, Nirvana, Johnny Cash and Neil Young recorded classic albums there. The middle section focuses upon the demise of the studio and its eventual closure. What becomes apparent is that those involved with the studio are as tight knit as a family and while the interior may not have been well cared for, great amounts of work were put in by all involved to keep the studio afloat. The final third of the film charts the closure of commercial studio services in 2011 and explains the true outcome of the film. Grohl purchased the Neve desk for his own private studio and in telling the story of the board, went on to tell an entirely different one. Talking heads include Steve Nicks, Trent Reznor, Joshua Homme and Paul McCartney, who captivatingly tell their own stories from the studios halcyon days and each record music straight to tape, through the famed board for the films soundtrack – preserving the studios legacy. Grohl allows jam sessions and the eventual recordings to be filmed. Providing an invigorating end it is clear from these recordings that even in a digitally dominated era the human element in music is still easily found. Directed and produced by comedy magic duo Penn & Teller, Tim’s Vermeer addresses inventor Tim Jenison’s attempts to paint “The Music Lesson” by the Dutch master painter Johannes Vermeer. Inspired by books written by British artist David Hockney as well as the architecture professor Philip Steadman, Jenison became convinced that as Vermeer’s work does not show any sign of sketches under x-ray and as no record of his artistic apprenticeship exists his ability to paint with light, remains shrouded in mystery. What follows is the astonishing desire of one man’s mission to complete a life goal and without any artistic experience paint a Vermeer. 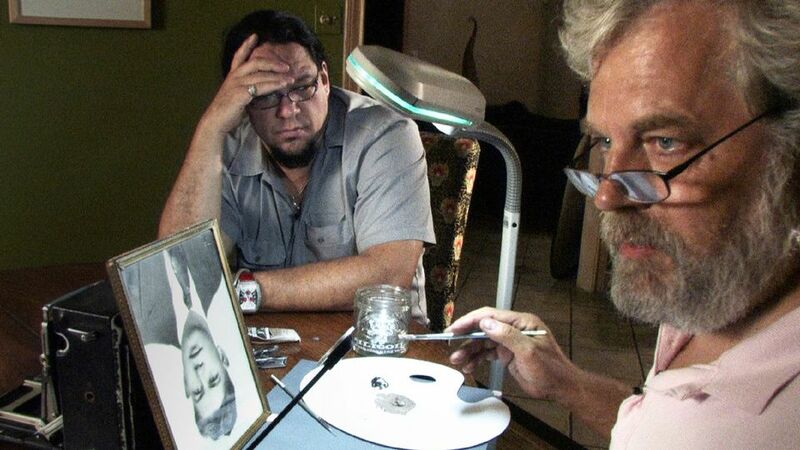 Jenison, an inventor who founded NewTek leaves his job to focus on his painting. Thrillingly Jenison use of a mirror provides the mechanical help, which he concludes Vermeer must have used. The final product, after 130 days of toil, is a hyper-accurate version of “The Music Lesson” which Jenison presents to an astonished Hockney and Steadman. Despite the wrath of the art establishment, they believe Jenison’s theory to be correct and that Vermeer must have used a similar device to the one he constructed. This is an astonishing film about the lengths one man will go to in order to achieve a life goal. Bill Emmott was sued for libel whilst editor-in-chief for The Economist, after his front page of Silvio Berlusconi in usual cartoonish form accompanied by the headline “The man who screwed an entire country” drew the attention of Berlusconi himself. Berlusconi denounced the magazine as communist on the basis that Emmott looked like Lenin. The magazine won the legal cases but Berlusconi’s political success was not hampered as he won a further two terms as prime minister. This, and Benedict Cumberbatch’s reading of Dante provide the backdrop, setting the tone for the remainder of the film. A great lover of Italy, Emmott’s concerns over Italy’s current economic, socio-political and moral malaise spurred the writing of his book “Buona Italia, Mala Italia” Good Italy/Bad Italy. So worried by the controversy that surrounded his findings and that Italy’s demise signalled wider scale western decline Emmott made this film to confront the myriad of factors that have stopped the salvation that Italy so gravely requires. Blunt, often staggering statistics are used in conjunction with wonderfully dark, twisted animated sequences from Phoebe Boswell and talking head interviews with figures such as Roberto Saviano, Umberto Eco and Toni Servillo together eloquently expose the facts regularly hidden and ignored in Italian discourse. 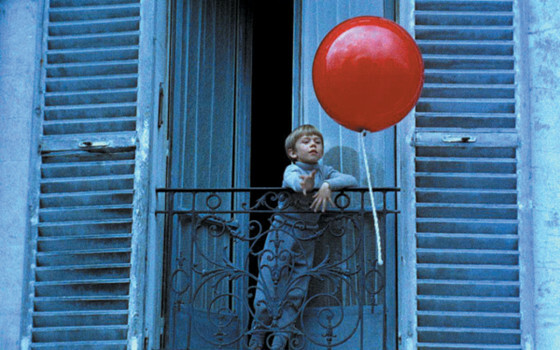 A Story of Children and Film is the first about children in a global cinema context. Written, directed and narrated by Mark Cousins, the premise came to him whilst filming the play patterns of his young niece and nephew in his flat in Edinburgh, Scotland. Cousins’ explains that art shows us: “if we look closely and openly at a small thing we can see lots in it”. Using this idea as a basis for his film, he marries it wonderfully with his encyclopaedic knowledge and passion for world cinema and takes the audience on a poignant journey through the adventures of childhood. Cousins’ diffident narration helps substantiates fleeting visits through continents, eras and filmmakers. 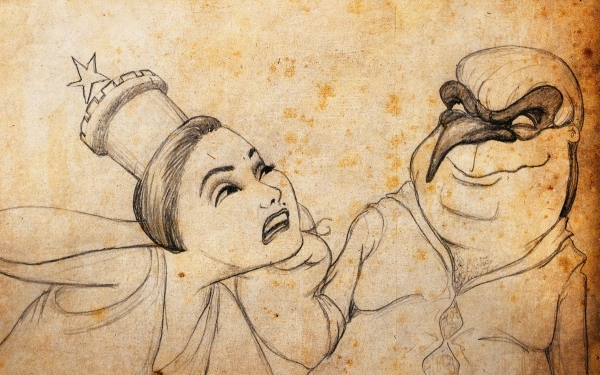 He narrates in an open, occasionally ambiguous manner to encourage viewers to seek out films – connected only as they chronicle childhood – and make their own judgements. Illustrating that similarities exist between critics and filmmakers, the result is a beguiling documentary constructed with masterly skill and appreciation for filmmaking – delivered with great care and love. Author Bio: Callum Simpson is currently studying towards a BA honours degree in Global Cinema from the University of Stirling, Scotland. He is mainly interested in classic European – chiefly Italian – cinema.